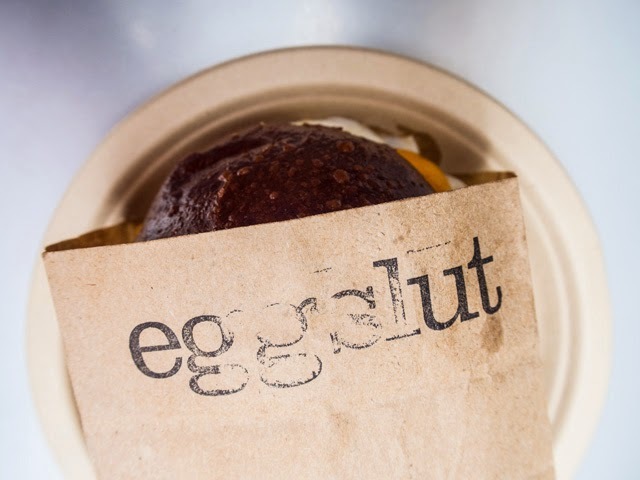 Eggslut... the name alone is turning heads, and causing the formation of very long lines. 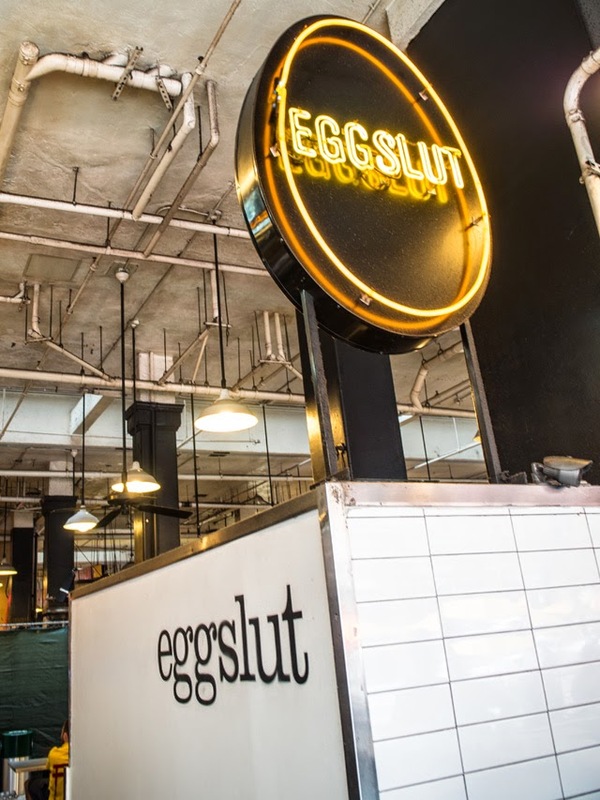 In fact, I'm sure a few of you will have found your way here as curious as anyone else about what the hell kind of establishment names themselves Eggslut. Well, let's go head and put one question to rest - yes, it is all about eggs. 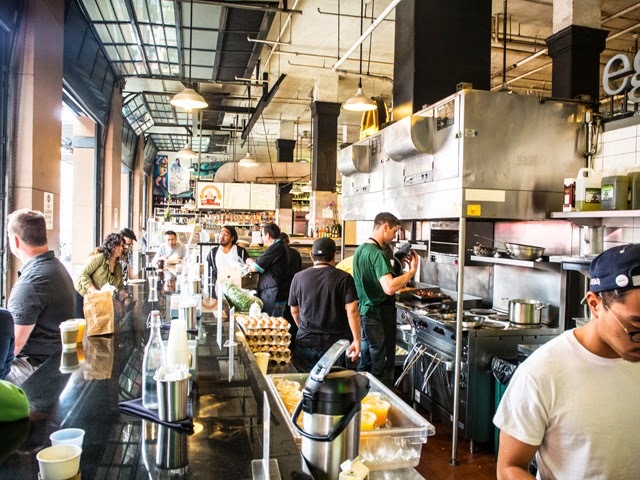 Eggslut is an eatery in Los Angeles, based in Grand Central Market, that has perfected the egg sandwich. 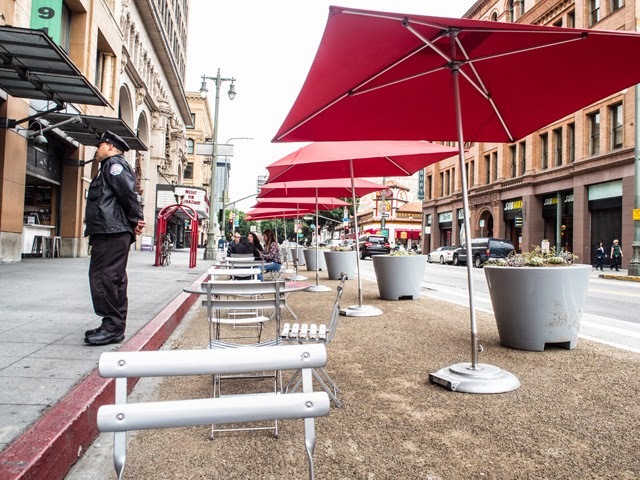 It's open from 8am-4pm and never sees a slow moment. 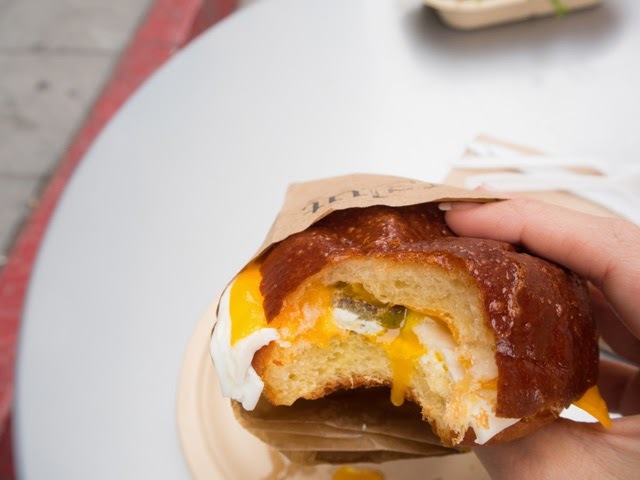 Sure, you may be lucky enough to catch the line at just four to five people, but chances are you'll be waiting with the rest of LA to sink your teeth into a an egg-cellent sandwich wrapped in brown paper and stamped with the seal of Eggslut approval. 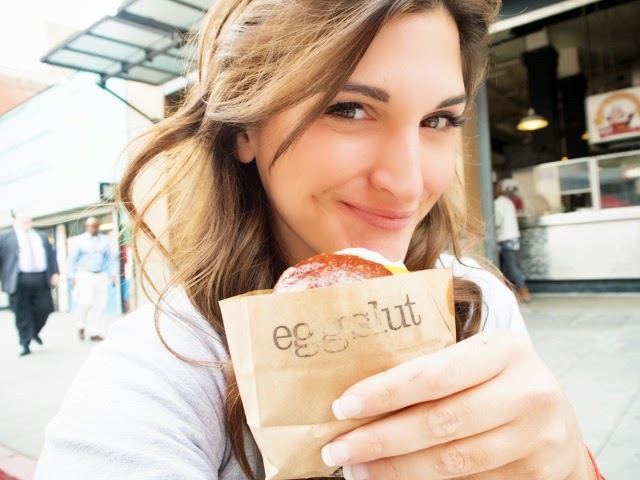 So what makes Eggslut's egg sandwiches stand bun and butter above the competition? 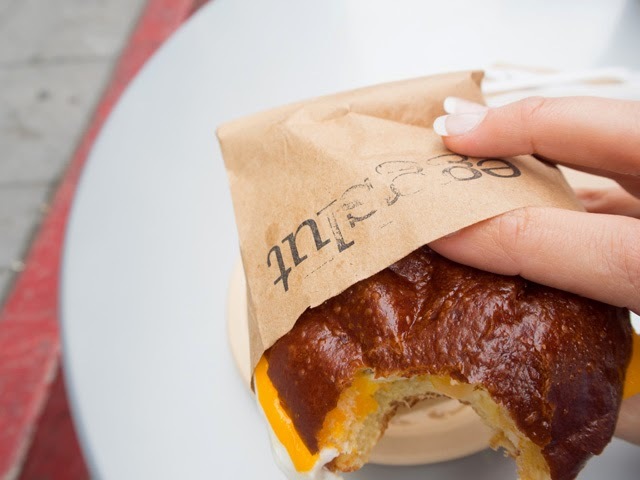 Well, let's start with the bun. 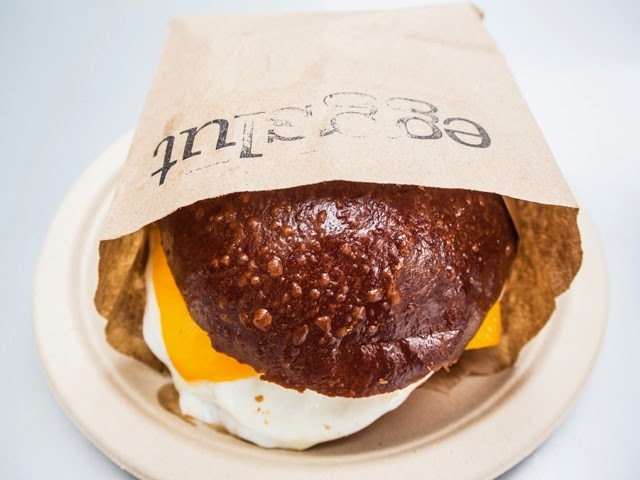 Eggslut serves their sandwiches on a piping hot brioche bun that's soft, fresh and the prefect taste mix for whatever Eggslut combination you choose on the day. For my first Eggslut experience, I went for the sausage, egg and cheese. 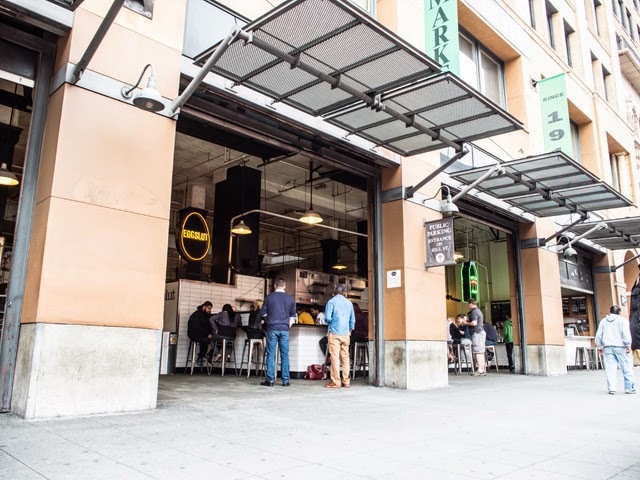 While your standard sausage, egg and cheese was a step above the rest here, it was the added honey mustard aioli that gave this little creation it's proper kick in the tongue.